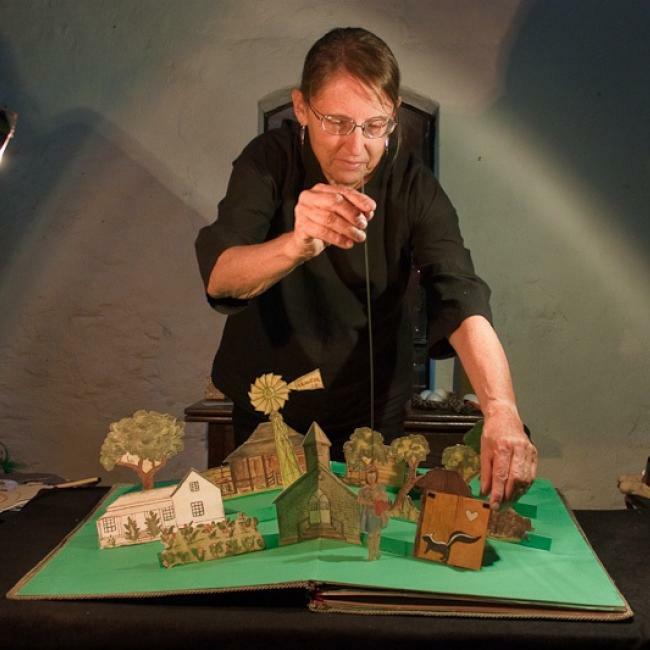 On Thursday, January 24th, at 7:30 PM, Monica Leo of Eulenspiegel Puppets will be performing her show Finding Home on the library’s 2nd floor. Unlike most Eulenspiegel shows, this one is aimed at an adult audience. Monica is the daughter of a German Lutheran pastor who was held captive in a Nazi concentration camp. The show documents that experience, Monica’s father and mother eventual emigration to Texas, and her mother’s work as an artist and Vietnam-era peace activist. I’ve seen the show and it’s wonderful! Monica and Eulenspiegel perform all over the world and have won all sorts of awards; Monica also brings puppeteers from all over the world to her theater and workshop. She is also an incredible example of how a liberal arts degree in the fine arts can inspire a life-long passion…being a puppeteer is the only full-time job Monica has ever had! After the performance she’ll talk with the audience about her life and work in this field. Cole Library and Cornell’s Lectures, Arts, Cultural, & Entertainment are co-sponsoring the performance. PARKING is available behind Cole Library.